Through 21 games in the month of June, the Dodgers are on pace to possibly make history by hitting the most home runs by a team in a month. They need 55 dingers tie the N.L. record and after tonights 2-1 win over the Cubs thanks to the Enrique Hernandez and Chris Taylor solo shots, they are at 48. That means the club needs seven homers to tie and eight to break the record in their final six games. Piece of cake right? After all, they hit seven alone on Sunday at New York. Last year’s pennant winning team had a club record of 221 homers. As good as the Dodgers are looking now, they find themselves behind last year’s home run pace. At their current 2018 rate, they will finish the season with 217 homers. That’s not too bad when you consider the Dodgers entered the month of June with a mere 56 home runs. So in a 21 game period in June the Dodgers have hit 46% of their homers. 221 homers in a season may seem to be off the charts, but it is hardly close to the all time season record for a team. The '97 Mariners had 264 homers. Last years total lands the Dodgers in 22nd place all-time. It should be noted though that 16 of those teams that hit more than 221 home runs in a year were steroid era teams (1996-2007), so it is safe to say that most of those power laden ball cluns produced tainted stats. Now to take these numbers into the Ross Porter realm of statistical analysis, consider this: No Dodger team in Brooklyn or Los Angeles is even close to 221 home runs in a seasonhese. Not the Snider/Campanella/Hodges Brooklyn teams in the 50‘s that led the NL in homers for seven consecutive seasons, nor the 1977 club that featured 4 players with 30 homers or more (Garvey, Cey, Reggie Smith and Baker). Neither did the Shawn Green/Beltre/Sheffield teams in the early 2000s, and not the ’74 pennant winning club with the Toy Cannon in CF and an emerging young MVP named Steve Garvey. The 2017 and 2018 Dodgers teams are the cream of the crop when it comes to round trippers. 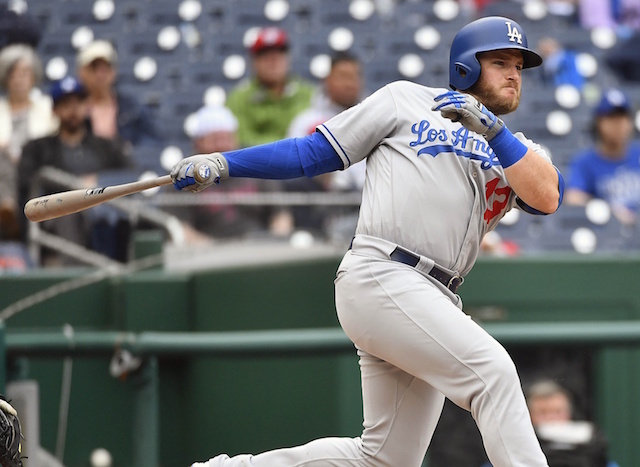 It is highly likely that eight players on this year’s club will finish with twenty homers or more and if Justin Turner gets hot in the second half, there may be nine. That’s quite the feat and something that not even the 1997 Seattle Mariners with their team record setting 264 homers could achieve. (Seattle had six players with over 20 homers, but Griffey had 56 and Jay Buhner added 40). Oh, one more thing of the importance regarding the June home runs. The Dodgers are winning, and of course in games which they homer they are 15-3. In the three homerless games in the month, they have a winless 0-3 record. It is safe to say the 2018 Dodgers may end up have the greatest power numbers in franchise history. Even with the inevitable power drop-off that will occur, a mediocre home run pace will put them right near where they finished last season. Return To Action, the OKP Blog is BACK! 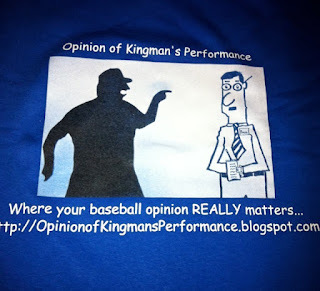 After what amounts to almost a four year hiatus, the Opinion of Kingman’s Performance blog is resurfacing. My overseas assignments and vocational time constraints forced me to cease writing with any form of consistency. 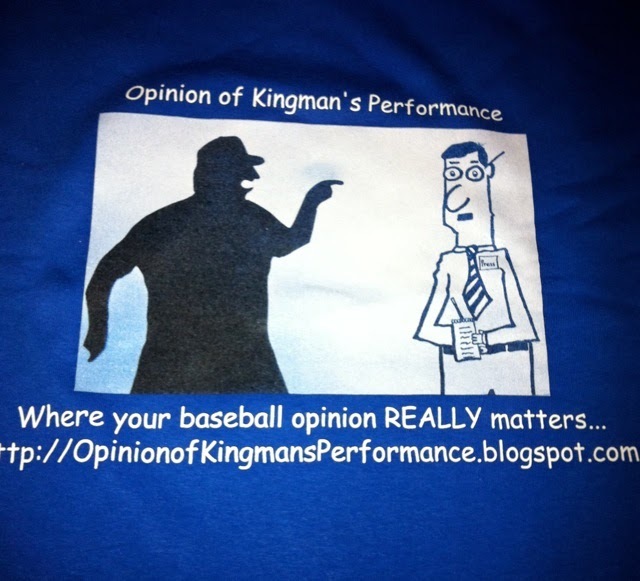 Periodically I’d provide a guest post at Ron Cervenka's Think BlueLA blog, but for the most part I have been inactive with regards to Dodger opinions and posts. Now that I’m back stateside and have formed a more consistent routine, I’d like to start this up again. I definitely cannot post at the daily consistency that I once did, but once or twice a week shouldn't be out of the ordinary. All I ask for is a little bit of patience. Getting back into the swing of things, self-editing, remembering how to link photos and articles and upgrading the site may take some time. With that said, I must say that with the 2018 season a mere 5 games away from its midpoint, the Dodgers are in good shape. Once again in the midst of a winning run (with 25 victories in their last 34 games), it’s only a matter of time before they find themselves in the division lead. This is a team snakebit by decimating injuries. Yet they are so loaded on the 40 man roster, that they are able to overcome decimation. 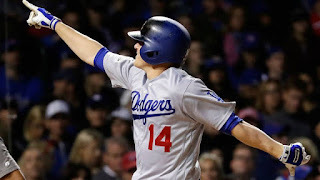 It is hard to imagine that this team could overcome the loss of both Corey Seager and Clayton Kershaw, but they have as they find themselves rolling and only 2.5 games back. The second half will see the return of Walker Buehler, Hyun-Jin Ryu and ultimately Julio Urias. Combine them with Rich Hill, Alex Wood, surprising ace Ross Stripling and Kershaw, all Dodger faithful should be feeling real good about their chances in the stretch run. That’s a lot of pitching and plenty of arms to keep the club strong in the stretch run. The power surge of the offense has been nothing beat short of amazing. This is a ball club that will have eight players with over 20 homers. 46 home runs in the month of June, and a league leading 102 homers for the season. There is Comeback Player of the Year Matt Kemp who may win a batting title and MVP. Five guys will have OPS over .850. And we haven’t even seen Justin Turner get started, meaning he’ll probably be heating up right around the right time in September. As bad as things looked when the club found themselves ten games under .500 at 16-26 on May 16th, the resurgence with this club will likely put them at over 95 wins by season’s end. This has been a remarkable turnaround and the front office needs to be recognized for finding that annual surprise impact player that makes a big difference. 2018’s version is Max Muncy. Muncy has been a journeyman AAAA player that never was expected to be more than a possible September call up to give guys some needed once the division was clinched. Now he’s a vital offensive force who has pretty much replaced the impact bat of Corey Seager. Weaknesses? There are some. Everything isn’t positive. The bullpen has some holes. The offense still lacks when hitting with runners on base. Dave Roberts has a tendency to rely too much on the pen, something that could come back to haunt him when the stretch drive hits and too many arms are tired. But there may be relief coming at the trade deadline. With all things considered, the positive far outweighs the negative. This Dodger club is in a good position to repeat as NL Pennant winners. You can’t ask for much more than that.